Melanie Cervantes and Jesus Barraza (Dignidad Rebelde) was invited to host a banner painting project for the event described below as well as asked to produce a screenprinted poster that could be used for future actions. On Wednesday February 4, 2009, Intertribal Friendship House hosted a community forum in response to the continued police brutality as made light in the recent shooting of Oscar Grant III. One year earlier, another fatal police shooting took place on New Years Eve. 2) The resignation of District Attorney DA Tom Orloff. 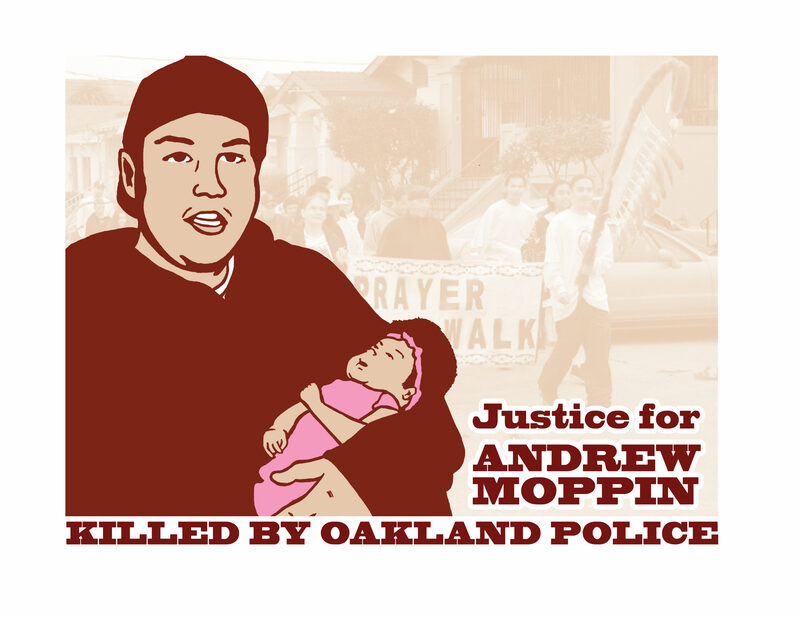 4) Family Members and Friends of the Moppin and Woodfox families and all those that have been affected by police brutality have access to Healing Justice resources that are culturally sensitive to their needs. 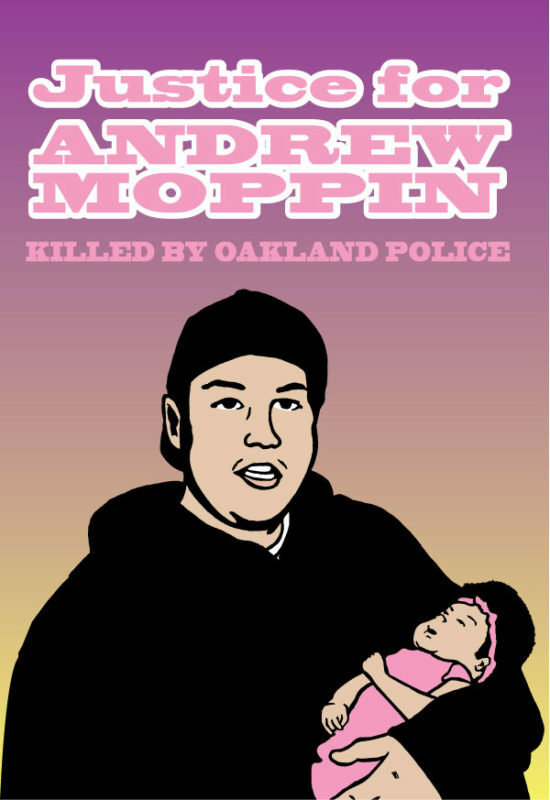 5) Accountability on why it took one year to release the police report detailing the incident of the shooting of Andrew Moppin.